With their last two full-lengths, 2000's Songs From An American Movie - Volume 1: Learning How To Smile and Songs From An American Movie - Volume 2: Good Times For A Bad Attitude, Everclear's Slow Motion Daydream finds the band delivering a more 'traditional' album. Whereas Learning How To Smile was originally intended to be a solo album for front man/mastermind Alexakis, thus its pop-over-rock approach, Good Times For A Bad Attitude was Alexakis' attempt to deliver a rock record, so fans didn't feel he was abandoning the rock. Originally intended to be released as a 2-disc set, against Alexakis' better judgement, Capitol released them as two separate albums, GTFABA following LHTS a mere six months after its release. The results were not devastating, but were destructive nonetheless. GTFABA failed to garner a modern rock hit, whereas LHTS spawned the crossover hits "Wonderful", "A.M. Radio", and a cover of Van Morrison's "Brown Eyed Girl". But LHTS's life was cut short at the hands of GTFABA. And though LHTS crawled to platinum status, GTFABA barely hit gold, at best. Which no doubt left Alexakis disappointed, as a new breed of fans perceived them as a rich, over-produced pop band, overlooking the guitar-rock leanings of their earlier records. Recalling their most successful release to date, 1997's So Much For The Afterglow, which sold two millions copies, Alexakis mixes the pop with the guitar-rock, playing more to the latter. A reaction to another NW guitar-rock chart-topper, Dave Grohl and the Foo Fighter's return to fast, hard-hitting rock?. Alexakis promised fans that Slow Motion Daydream would be the album that best represents what Everclear is all about (much like he said prior to So Much For The Afterglow's release). In doing so, he goes too far, ripping off himself time and time again (something that is definitely not new to him), delivering a record that wouldn't be out-of-place labeled as "Santa Monica Revisited". 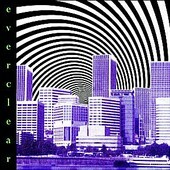 The album opens with "How To Win Friends And Influence People", a song whose first notes and chorus mimic those of "Santa Monica", Everclear's biggest hit. That little riff, the "da da na na da da" placed Alexakis and company on the top of every commercial radio station's play list back in 1995. But he doesn't stop there. The first single off the record, the (hopefully) tongue-in-cheek "Volvo Driving Soccer Mom" borrows that exact same riff from "Santa Monica", which later found itself in other Everclear hits: "Normal Like You" and "Father of Mine". You could say, "Don't fix what ain't broken", and, well, you'd probably be on the same page as Alexakis. He seems to recycle and regurgitate whatever works for him in the past, reusing it until it doesn't work for him anymore. And why stop now? It hasn't failed him yet, as he's made a more-than-comfortable living off of the should-be-trademarked chord progression. Unfortunately for those of us that aren't consumed by whatever is the radio, though, Alexakis' plan backfires. The repetitive riff and desperate attempts to stay at the top of his game, rather than creating, well, art, bog the record down and make it easy to write off. Alexakis' one saving grace has always been his skills as a producer (at least of his own music). With an ear and great intuition, he's never failed to take his songs exactly where he wants them to go (for better or worse). This time around with the help of longtime friend and collaborator Lars Fox (of Grotus fame), Alexakis delivers an album that masks any flaws on the musical end - forgettable lyrics and repetitive chords - and boosts it up, turning the mundane into the almost annoyingly infectious. Another new thing to Slow Motion Daydream is Alexakis' approach to lyrics. Instead of directly writing about his own life ("Father of Mine", "Pale Green Stars", and "Hateful", to name a few), Alexakis avoids writing from the inner self, taking a look at the world from an outer perspective. "Chrysanthemum", a haunting acoustic piece about the slaying of two Oregon City girls and the chain link fence memorial that was erected at the home where both their young bodies were found finds Alexakis' outer perspective working. When he sings "Yes, I hate the way I feel/ And it makes no sense/ Five months gone/ And all I got/ Pretty pink flowers on a chain link fence", a knot forms in your throat as the sheer recollection of this horrific event comes flashing back to you. Still, not even that can save Slow Motion Daydream. Alexakis, who has said many times himself that most artists have two or three great albums in them and then it is time to move on, puts his own theory to the test. Leaving us with the question, "how many times can you recycle the same thing before nobody cares?" The answer to that is yet to be determined. Having said that, Alexakis does make good on his promise to deliver a record that represents every facet of what Everclear has done in the past. SMD combines lush orchestration, tender piano notes dropped into heavy songs, acoustic guitars fleshed out with bells and whistles, and loud guitars blaring as Alexakis yells over them, returning to the rock. I'll give it a C+.